Microcentrum retinerve (Lesser Angle-Wing Katydid) ♂. Size: approx. 50-60 mm. Photo: 09/19/11, 9 pm. 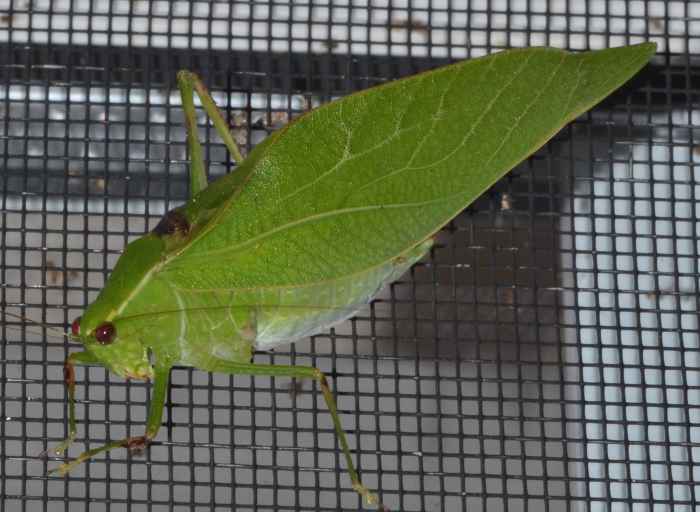 This big boy is a Lesser Angle-Wing Katydid (Microcentrum retinerve). They can be found in the Eaatern states, often call from trees, and are attracted by lights like this specimen. The similar species M. rhombifolium is even larger.